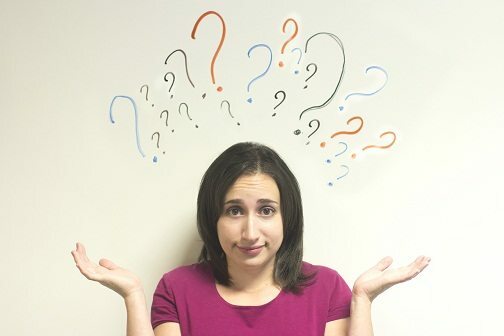 As a tenant, here are the top questions you should be asking your landlord! We get LOTS of questions! All the time! We desperately want to help everybody, but we have to eat and sleep too! Then someone here came up with a BRILLIANT idea! It happens sometimes! Anyway… he said, “why don’t we list the top questions tenants have and SHOULD be asking their landlords – and provide comprehensive answers”? Every great idea deserves daylight, so we decided that there is no time like today! So while this may not be complete yet, we plan on getting all of the best tenant questions from you, and providing you with the best answers! Check it out below! What is the rent amount – (what is included in the rent – Utilities, Water, Trash, Parking)? What Grocery Stores, Theaters, etc. are near my apartment? Is there an on-site property manager and how accessible is he/she? What can I do about my noisy neighbor? Are there any improvements or construction planned for the building in the near future? Is pest control handled by the renter or the landlord? Pests bring disease inside a home and even if dealing with pets is difficult, landlords and tenants share roles on how to maintain a pest-free rental home. Here are some guidelines for dealing with pest control in a rental. Are there any Security deposits or non-refundable fees, and what are they for? What is the application and screening process? What’s your late fee policy? What is your pet policy, and do you require a pet fee or deposit? Actually, it will largely depend on the landlord as there are some that do not allow and some that do allow tenants to have pets. Still, some may have restrictions as to the number and type of pets they allow. These additional obligations and rights about having pets should be indicated in writing in the lease contract. Can my landlord enter my rental property when I am not there? A tenant has a right to a peaceful and quiet home. This means that landlord must respect tenants’ privacy at all times and should not enter a leased apartment without permission. A law prohibits landlord to interfere with the right of the tenant of “quiet enjoyment”. Should I choose furnished or unfurnished? What is the landlord’s responsibility for theft, damage or assault in my rental or around the property? Can my girlfriend/boyfriend stay with me in the apartment (rental)?